When I was a kid, one of my favorite things to do on a rainy afternoon was to look through old family photo albums. Not many of us take the time anymore to print out duplicate prints and bind them up into a notebook-sized trip down memory lane, but we are still a culture of pictures. There are milestone photos of the kids, of course. Then there’s the annual family photo and the wallet-sized school pictures. But are you forgetting to take photos that document your relationship with your spouse or significant other too? Just like keeping the stubs from the concert tickets you got for your birthday or the hand-painted trinket from your cruise last summer, photos with your spouse help you to remember the journey you’ve taken together. Whether you keep them in a three-ring binder or in a virtual photo bucket somewhere in the cloud, make sure you remember to point the camera lens at the two of you together. A promotion is a big day in your service member’s career. Don’t forget to ask someone to snap a photo of the two of you. Military service provides the security for your relationship, and quite frankly, nothing reminds me more of the reasons that made me fall in love with my husband than seeing him in uniform. My guess is I’m not the only one. So make sure you snap a photo or two of you and your spouse whenever you attend official military functions. Promotions. This is a big day in every service member’s career, but it is also a milestone for your life together. Plus it gives you a great visual of the uniform evolution you’ve seen together. Don’t forget to take a photo at your service member’s reenlistment ceremonies too. Graduations. They’ve put in the hours of work studying and training, and you’ve likely been left to manage the homefront so they can focus solely on advancement. Graduation photos are a way to celebrate a spouse’s military achievement. Retirement. Like the light at the end of a very long tunnel, make sure you take the time to bask in the celebration that comes with retirement from military service. They’ve done the time in uniform, but you’ve been there too. A great photo of the two of you during the ceremony or the after celebration is a must-have photo. Birthday Balls and Galas. It’s not often we get to call the military lifestyle glamorous, so take advantage while you can. Best part? These events often hire photographers, so all you have to do is show up and smile. Farewells and Homecomings. These are some of the most important photos to have, not only for posterity, but to keep close during separations. Take the time to take a photo of every goodbye and every return. In those moments when the relationship requires a little extra work or distance brings loneliness, these photos are a great reminder of how much you mean to each other. Take the time to take a photo of every goodbye and every military homecoming. There are the standard must-haves like wedding and anniversary photos, but those are one day out of the year and aren’t often a true representation of your life together. Annual family photos are a great way to make sure you capture the kids as they grow (and yourselves as you age! ), but they don’t capture the candid, funny and intimate moments that make the everyday so special. Laughing Together. There are some that say a relationship filled with laughter is one destined to last forever. Even if it’s a selfie or a quick pic taken by the passerby you snag at the park, make sure you capture a funny moment now and then. Hobbies. If the two of you are known to tear up the dance floor, swing a mean backhand or cook up a 7-course feast, make sure you capture you and your significant other in action. Not only will it serve as a reminder of all the things you love to do together, but it’s a great way to capture how doing those things might change or have to be modified with each duty location. Tennis in Alaska anyone? How about skiing in Texas? Travel. Seeing the world (or even various parts of the United States) is a huge perk of military service, so make sure you take advantage of it. And don’t forget to take your camera. While you are filling your SD card with images of castles in England, Mount Fuji, or the California coastline, don’t forget to jump into the frame with your spouse. Memories are often fleeting. A picture will help you remember how clear the sky was that day or how cold the wind was, and how amazing it felt to be there…together. Do you love taking photos? Submit your favorite photo with your service member to MilitaryShoppers’ monthly photo contest today. Summer is almost over! Did you get a chance to go on a fun summer vacation? Did you spend time with family or take your kids to a fun place like Disney World? There are so many great places you could have gone this summer and I am sure you took a lot of photos while you were there. Here at Military Shoppers we are going to have a Summer Vacation Photo Contest! We want to see where you went and how you spent your summer. We want to see families having fun together. We want you to submit your favorite snapshots for our Summer Vacation Photo Contest. With military families, taking a vacation together is a very special type of thing. Summer vacations can’t always happen because some summers, a family member is deployed, away at training or just unable to take that time off of work to go anywhere. Sometimes our service members have to skip the summer fun. The summer vacations we have been able to go on throughout the years have been so special to us. Going to see new places, our family back home or just relaxing somewhere together. To be able to get away together from the everyday is so nice. We love having a lot of photos that we can look back on in the years to come. I also enjoy scrapbooking our adventures so I have a fun way to look back at the places we went. Pictures are the best way to remember your memories. If you didn’t go anywhere this summer but did have a fun day trip, use those photos too. Staycations can be just as fun and you get to spend the night in your own bed. Explore your own part of the world to learn more about where you live and what you have nearby. Do you have any fun summer vacation photos that you want to use for our summer vacation photo contest? Do you have a favorite summer vacation photo? Enter your snapshot in MilitaryShoppers’ Summer Vacation Photo Contest today. Here is everything you need to know about MilitaryShoppers’ Summer Vacation Photo Contest. Pictures must be received by August 31, 2015. Winner will be posted to MilitaryShoppers Facebook page, MilitaryShoppers blog and MilitaryShoppers.com. One photo per entrant for the Summer Vacation Photo Contest. Multiple entrants will not be accepted. Photo must be submitted by entrant who possesses a valid military ID card (Active Duty, Veteran, Retiree, Reserve, Guard or family member of the aforementioned categories). Entrant (not those within the photo) must be 18 years of age or older. The Summer Vacation Photo Contest winner will be notified by e-mail. Enter to win MilitaryShoppers’ Summer Vacation Photo Contest today. Father’s Day is right around the corner. Dads are so important in the lives of their children. When he is in the military, his time at home is precious and the relationships he has with his kids are so very important. A military father has to try extra hard to let his children know he is there for them even when he is far away. We try to take a lot of pictures of my husband and our boys. A military father has to go out of his way to be there even when he can’t be. It can be one of the hardest things to do. From phone calls to gift boxes, dads who have to be away from their children have a special job that other fathers do not. When a military father is home, he works to make important memories with his children. In our family we try to spend special time together like taking a trip to the park, going out to dinner or spending the day in Nashville. Sometimes we just stay home and barbecue. We take advantage of the days he is home so that when my children are grown they will have plenty of memories of their father being around. In between deployments, my husband has worked on the relationships he has with his boys so that when he is away, they will know that he loves them and misses them just like they miss him. They all have such a strong bond because of the relationships he has worked hard to have with them. Creating strong bonds with his children is such an important thing for a father to do. We also try to take a lot of pictures of my husband and our boys when we can. These pictures are so special to us when he is away. We can look at them, put them up in my kids’ rooms and he can even take some with him when he deploys. In the past I have even made him a scrapbook of fun times they have had together. It doesn’t really matter if you take pictures with your phone or a fancy camera, just make sure you are taking photos. They are so nice to look at in the years to come and a great reminder of the fun times your kids had with their dad. Do you take photos of your husband with your kids? Do you have a great photo of your kids with their father? You can enter that photo into our Military Shoppers Father’s Day photo contest! Good luck! Looking forward to seeing all of those great pictures of kids and dads. Enter the Father’s Day photo contest today! Faithful. Flexible. Encouraging. Understanding. Amazing. Inspiring. What word best describes today’s military spouses? Can a single word sum up the emotional roller coaster that ranges from the loneliness of deployment to the joy of that first kiss at a military homecoming? Is there any way to describe the enduring encouragement required on the home front so that our soldiers, Marines, sailors and airmen can carry out their orders without personal distractions? No. There isn’t a word that captures the military spouse experience. But there are hundreds of photos that come pretty darn close. May is National Military Appreciation Month and Friday, May 8 is Military Spouse Appreciation Day. This day recognizes the contributions of military spouses. This month’s photo contest winner will win $150! Readers are encouraged to submit a photo that showcases military spouses. That could be you. That could be your mother, if you were a military brat. That could be your friend. The photo could be from a military life highlight. Or a military event. Or it could be a simple photo inside your home right before a PCS. The choice is up to you. One winner will be selected at the end of the month. The winning photo will be announced in June. Enter to win MilitaryShoppers’s Military Spouse Appreciation Photo Contest today. Dressed in dress blues for a local Daddy-Daughter Dance. Trying on momma’s boots to clomp around the house as a soldier. The tightest hug you’ve ever seen, with those small arms wrapped around their heroes’ necks. Those heartfelt moments tug at the heart strings of today’s military children. Military children have a special place in my heart. My daughters are among the nearly 2 million children who were simply born into the military life. They didn’t choose this life. Yet they embrace it. Do they do it because they love military life? Nah. They do it because they love their parent who serves in the Armed Forces. April is the Month of the Military Child. This month, MilitaryShoppers readers are encouraged to submit photos of their favorite military child. The winner will receive a $50 shopping spree. The deadline for photo entries is April 30. Don’t delay. Enter to win the MilitaryShoppers Month of the Military Child photo contest today. Halloween is almost here! Such a fun time to dress up the kids in costume and maybe even yourself and your significant other. I have always enjoyed Halloween and trying to help my kids decide what they want to be each year. Sometimes they can’t decide and they might wear a couple of different costumes to various events at the end of October. Some years the kids have been super heroes or characters from popular children’s movies, other years it was something more simple like a pirate or a monkey. They are now at the age where they really want to decide which costume they will wear for Halloween each year. I love hearing what they want to dress up as because it is usually based on what they are into at that moment. Do your kids like to dress up for Halloween? Do you like to get creative when it comes time to figure out what costume they will wear? Do you buy their costumes? Or do you make them? 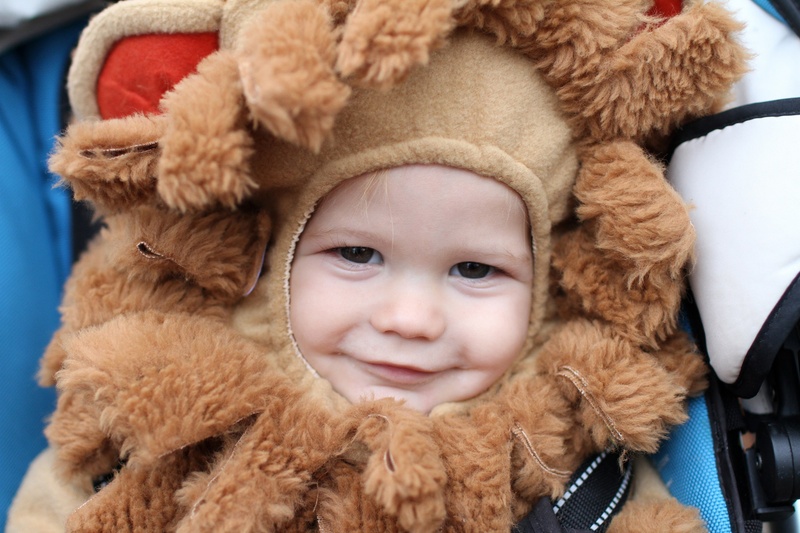 How many photos do you take of your little one trick or treating? 10? 20? Instead of simply sharing those adorable costume photos with your family and friends, take 1 minute to share 1 photo with MilitaryShoppers this month and you’ll be entered in a drawing to win a $100 Toys R Us e-gift card. Image must be submitted as .pdf, .jpg or .gif via email to bschmalz@militarymedia.com by November 3, 2014. Entrant’s email address will be added to MilitaryShoppers.com registration email list and therefore will receive future communications from MilitaryShoppers exclusively for military families via email. One winner will be selected on November 6, 2014. Winner will be posted to MilitaryShoppers Facebook page, MilitaryShoppers on Pinterest and MilitaryShoppers.com. Good luck and have fun getting the costumes together! 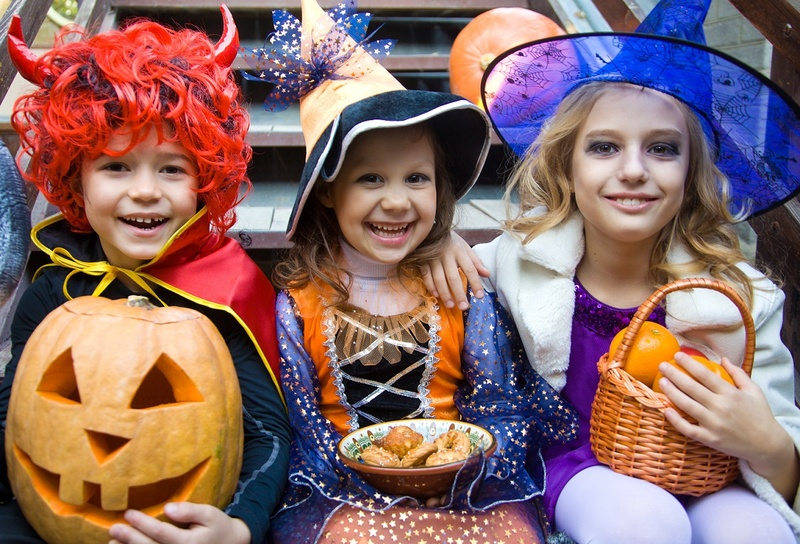 We can’t wait to see all the cute kids in their costumes.